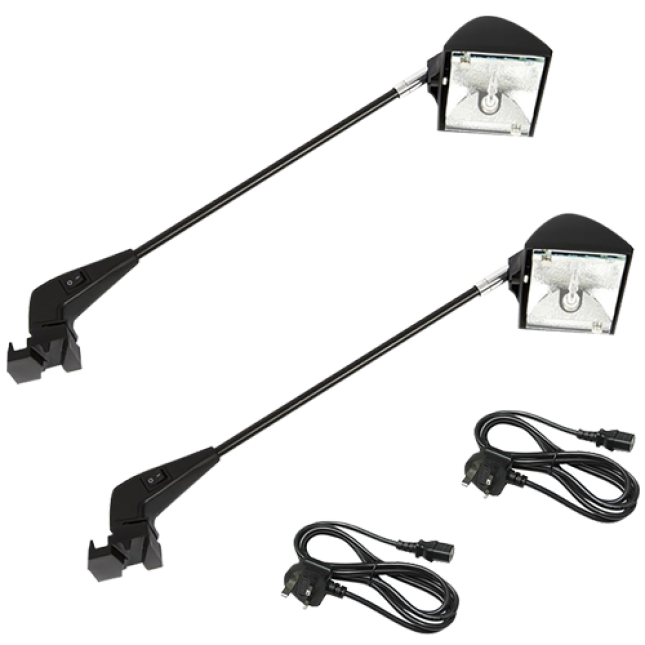 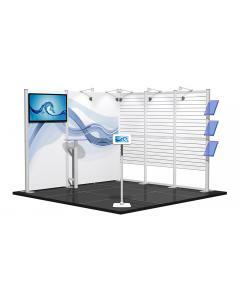 This configuration gives you a 3m x 2m U shaped stand with one open side. 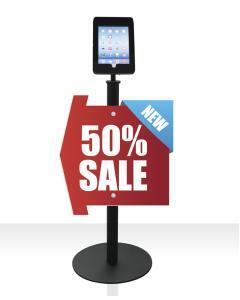 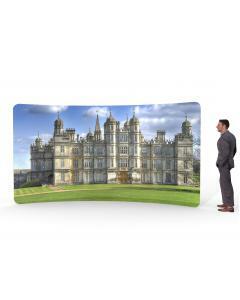 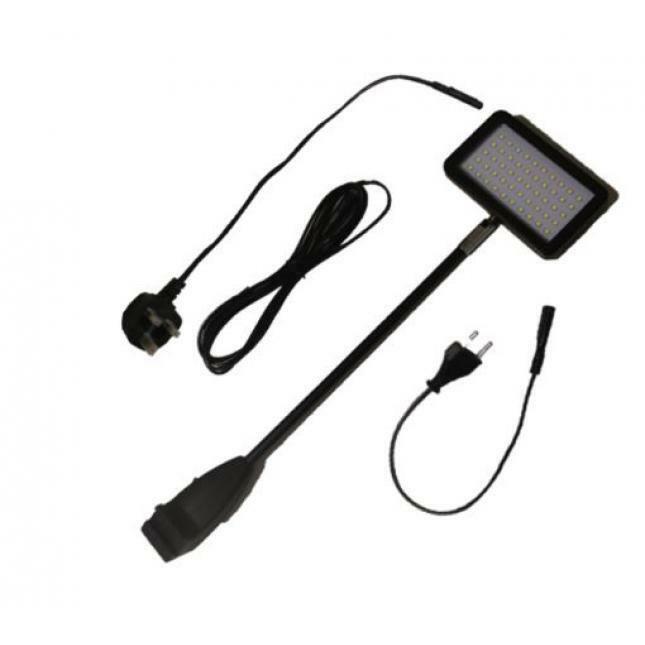 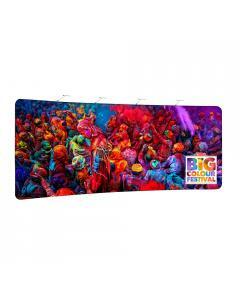 Popular for exhibitions and events as well as for shopping outlets. 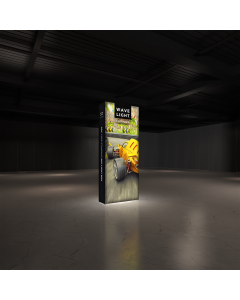 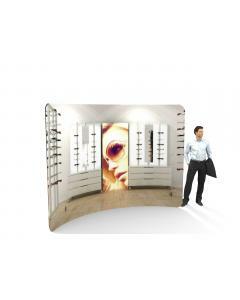 galleries and other marketing uses. 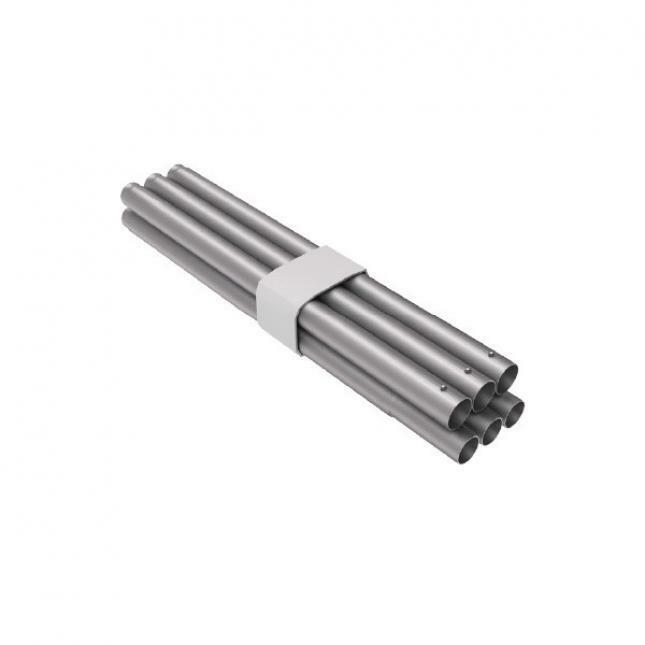 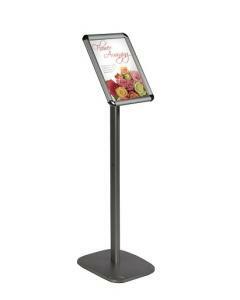 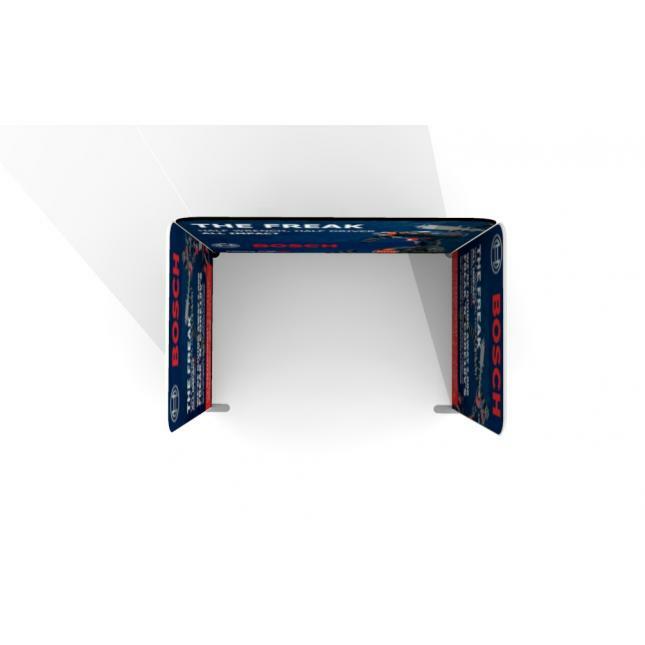 We supply the three individual straight frames with two rectangular feet each, allowing you to use each frame on its own for smaller events. 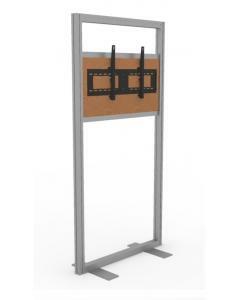 Dimensions: This kit includes two straight walls that measure 2006mm (w) x 2260mm (h) and one wall measures 2970mm (w) x 2260mm (h). 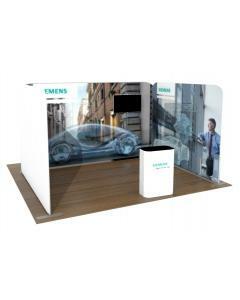 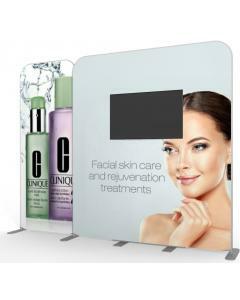 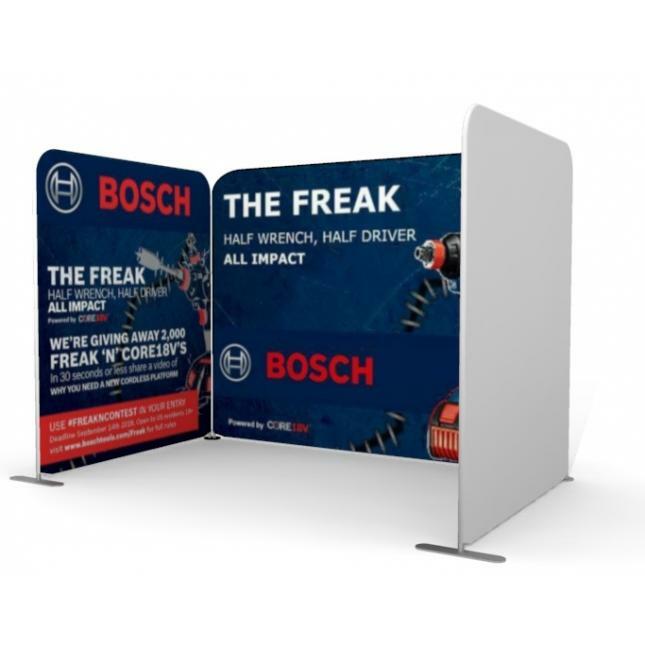 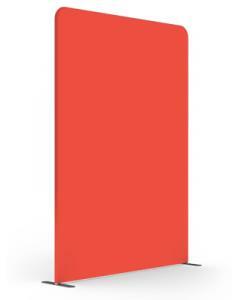 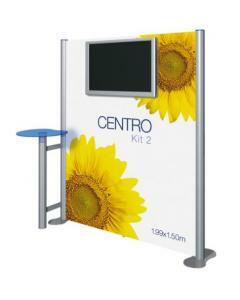 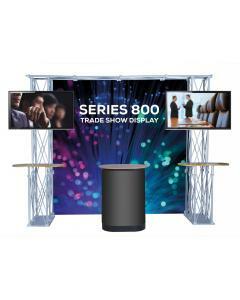 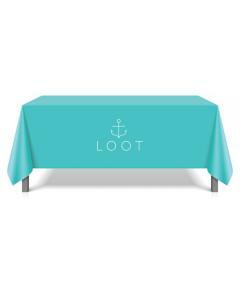 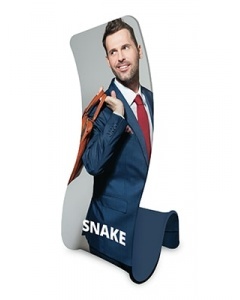 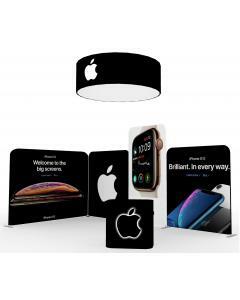 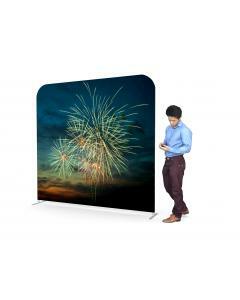 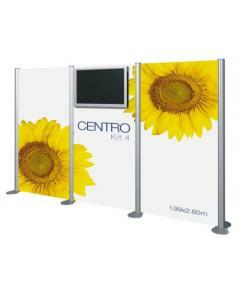 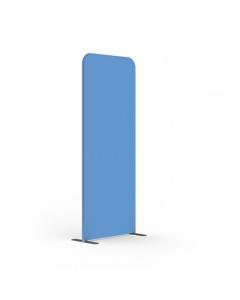 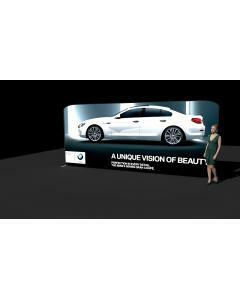 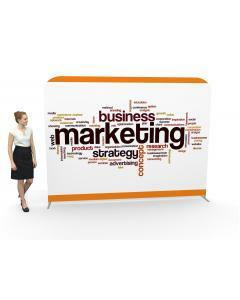 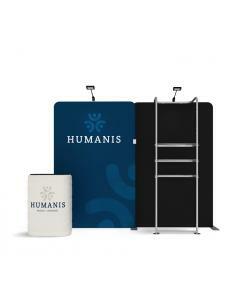 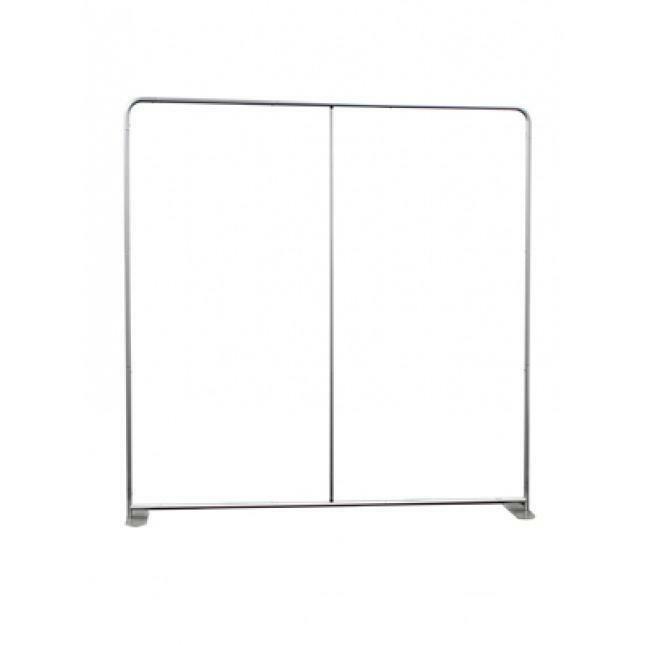 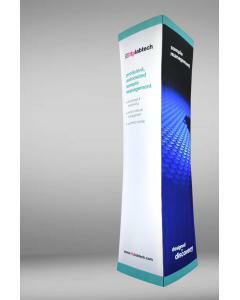 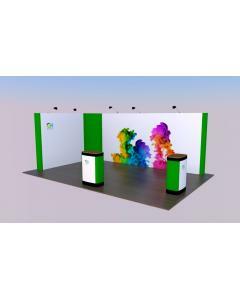 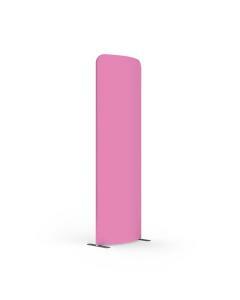 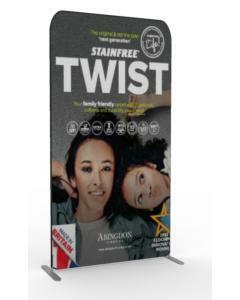 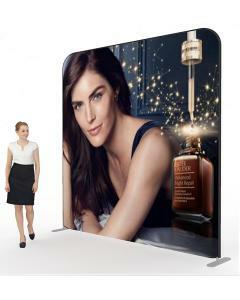 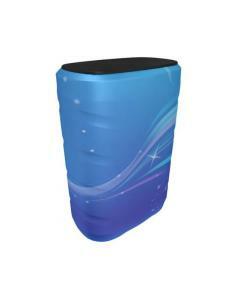 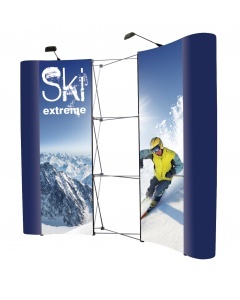 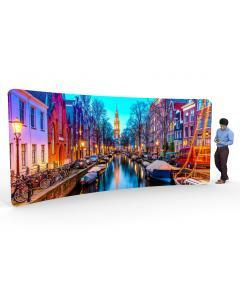 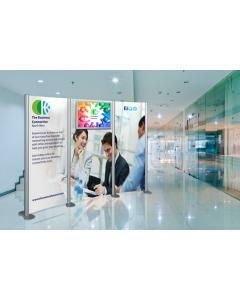 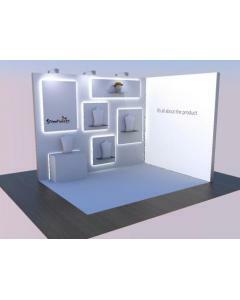 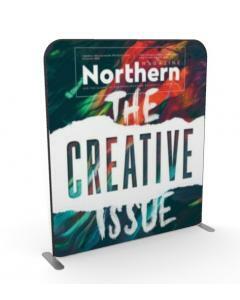 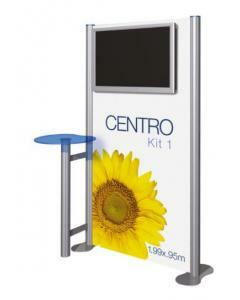 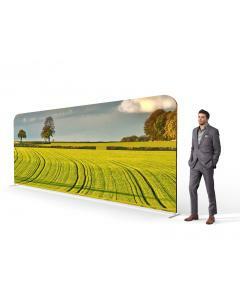 Why choose the One Open Side 3m x 2m Fabric Display Stand? 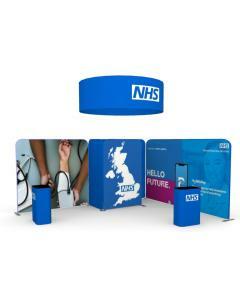 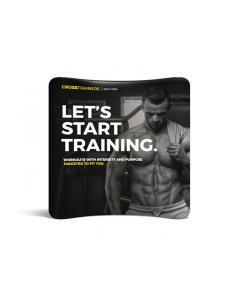 Graphics: This kit comes with three stretch fabric graphics. 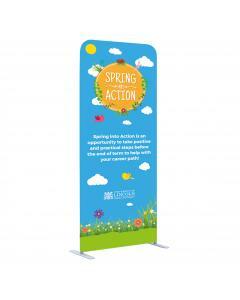 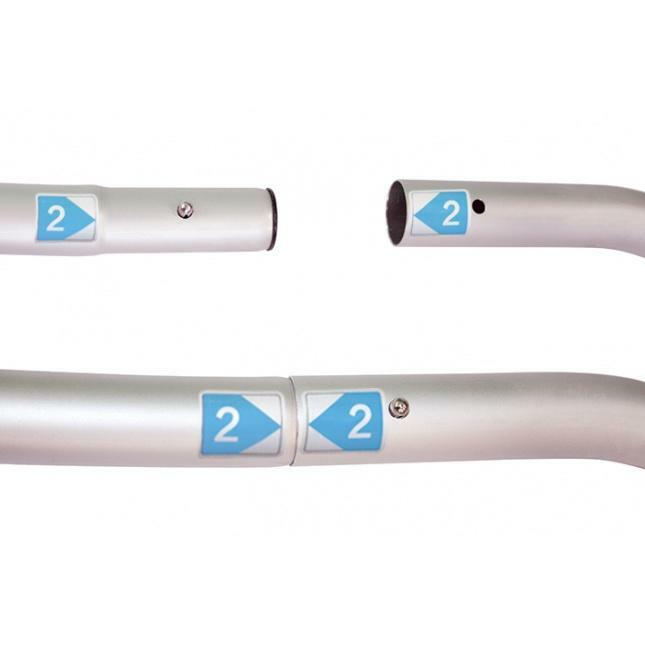 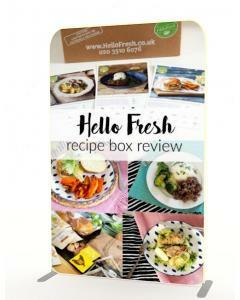 All three graphics are seamless and can be printed on the front with a plain white rear or printed on both sides. 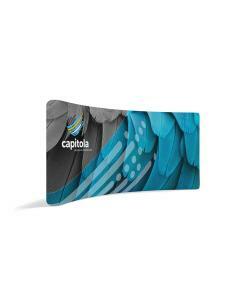 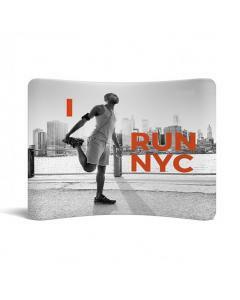 The graphics are printed using the dye sublimation printing technique for a high quality and durable graphic. 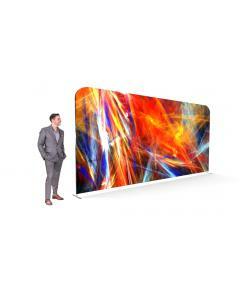 Graphics are slid over the framework and zipped closed along the bottom. 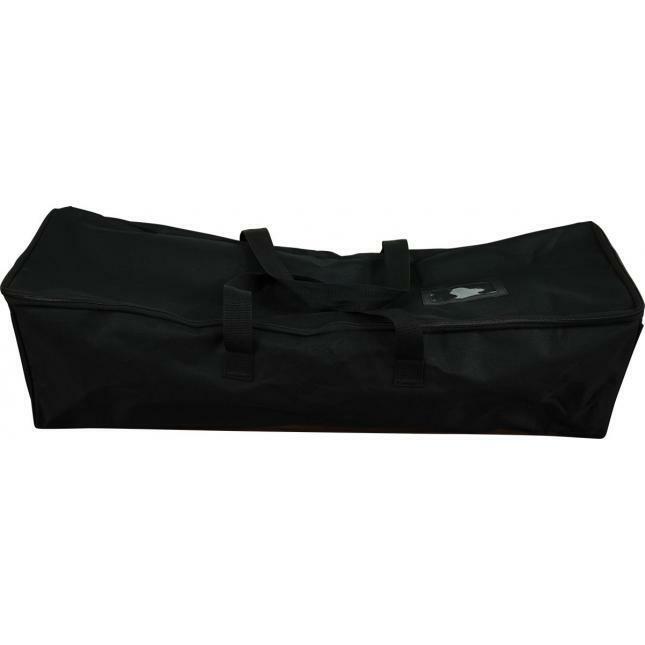 Bag: Comes with three carry bags. 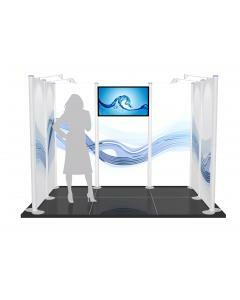 We recommend storing and transporting the fabric graphics separately from your framework to avoid damage and snagging to the graphics.